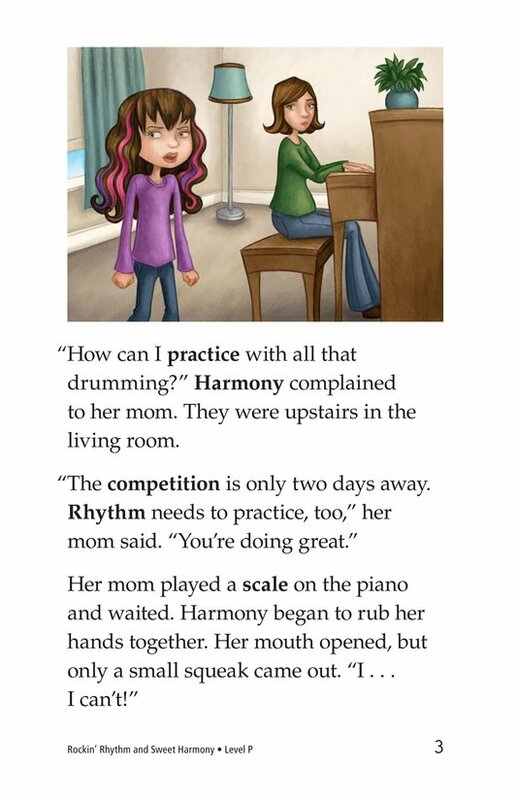 The big music competition is only two days away, and Rhythm and Harmony have some problems. 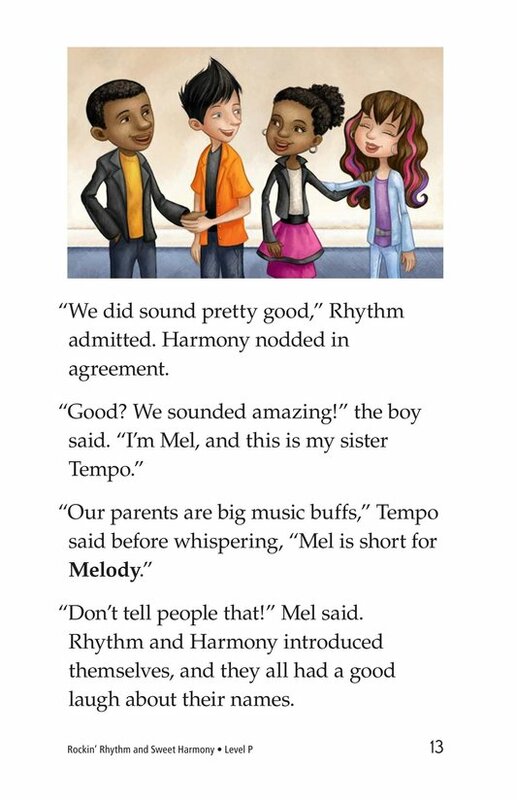 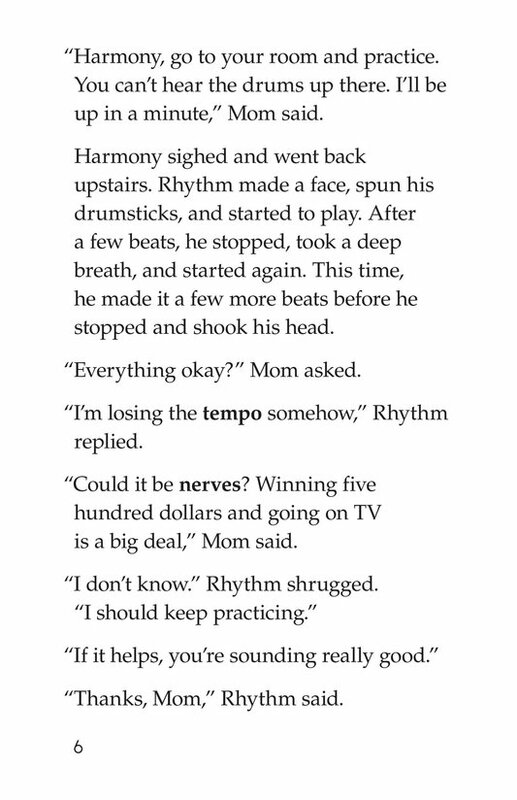 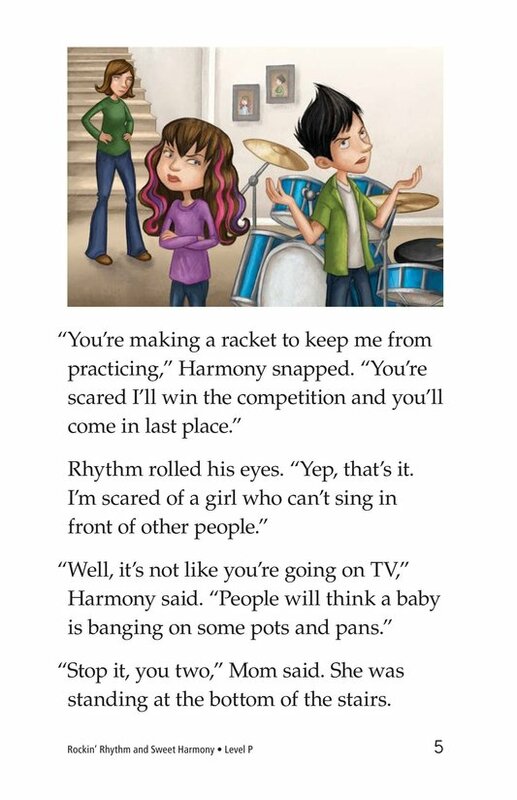 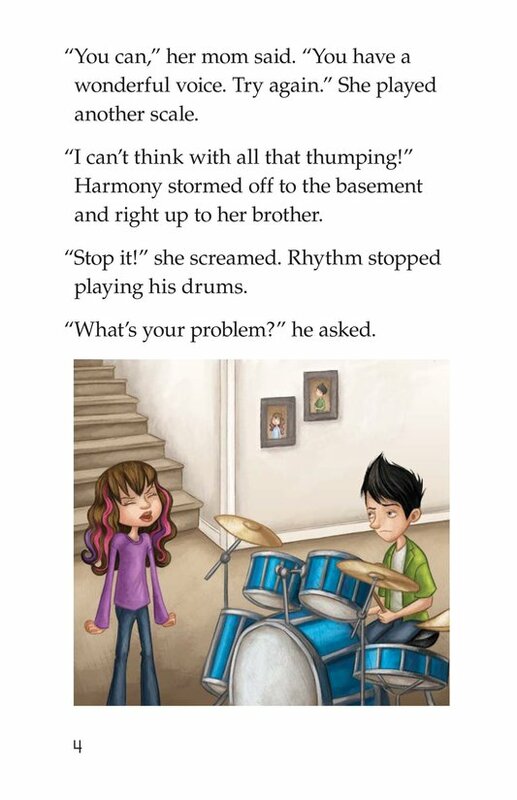 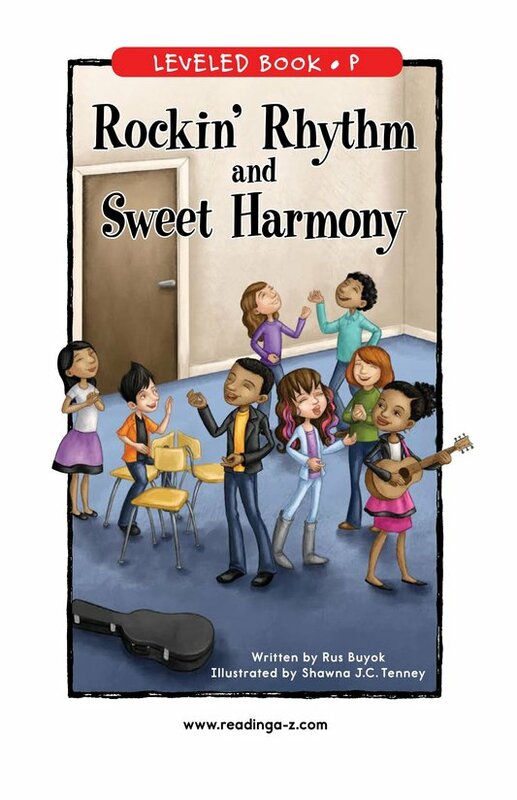 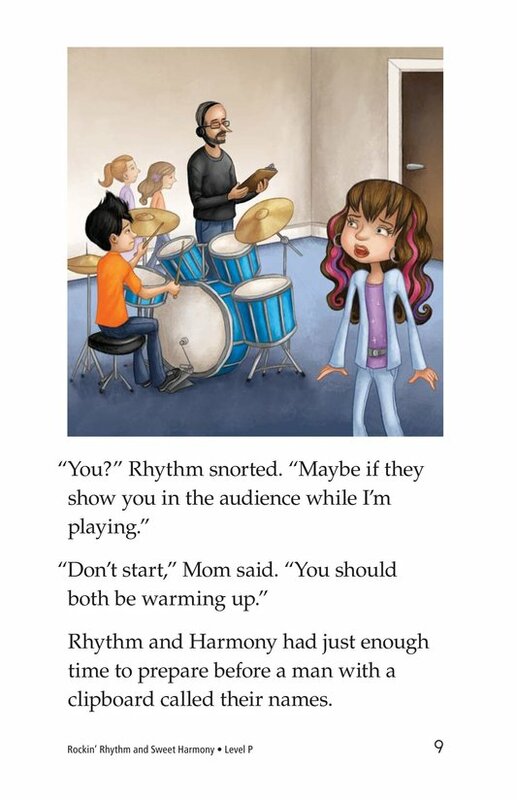 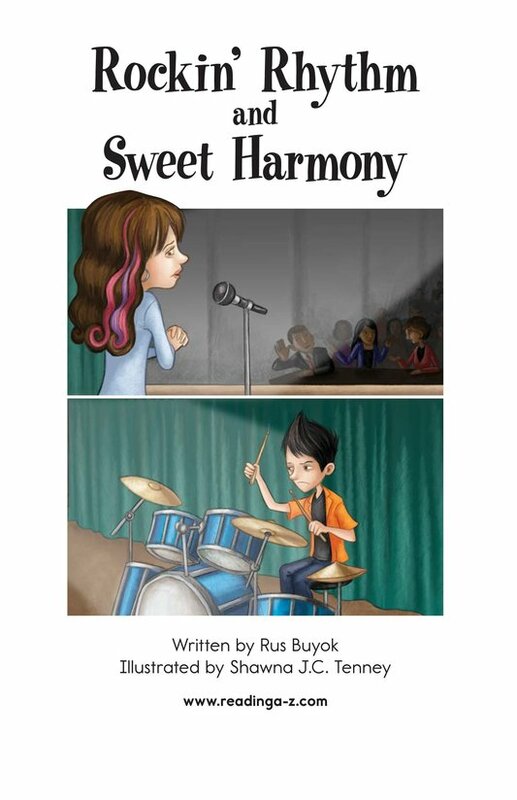 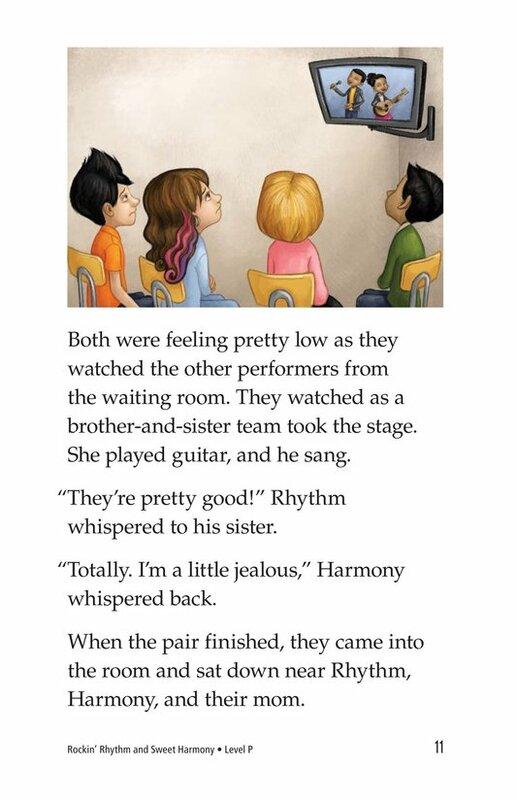 Harmony is too nervous to sing in front of others, and Rhythm keeps losing the beat on his drums. 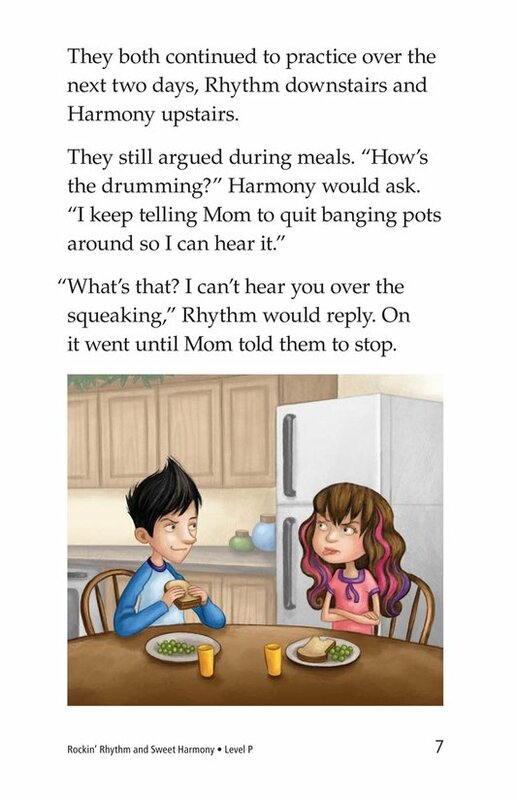 It doesn't help that these two can't stop arguing. 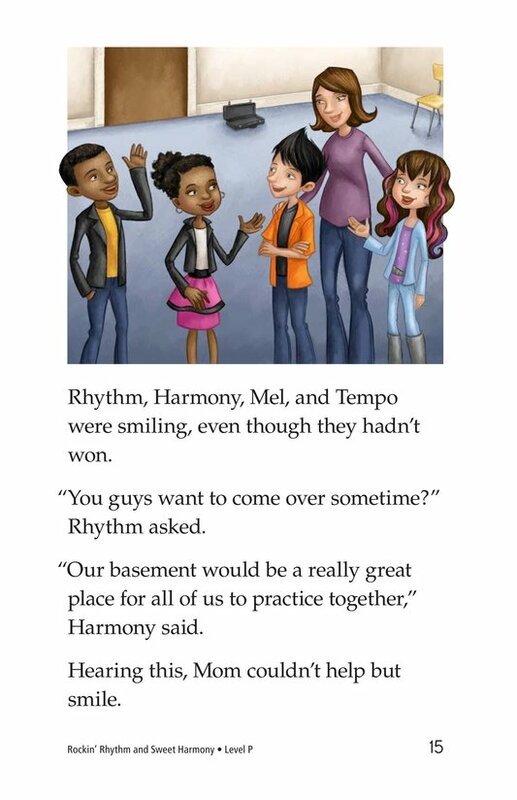 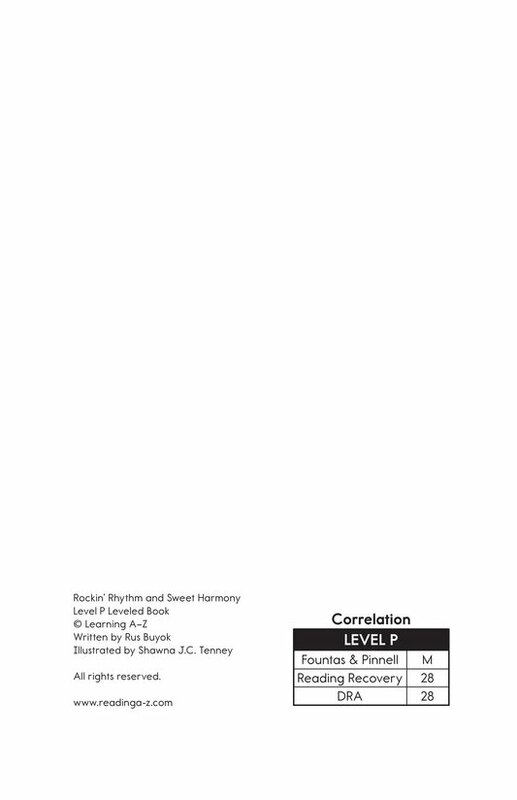 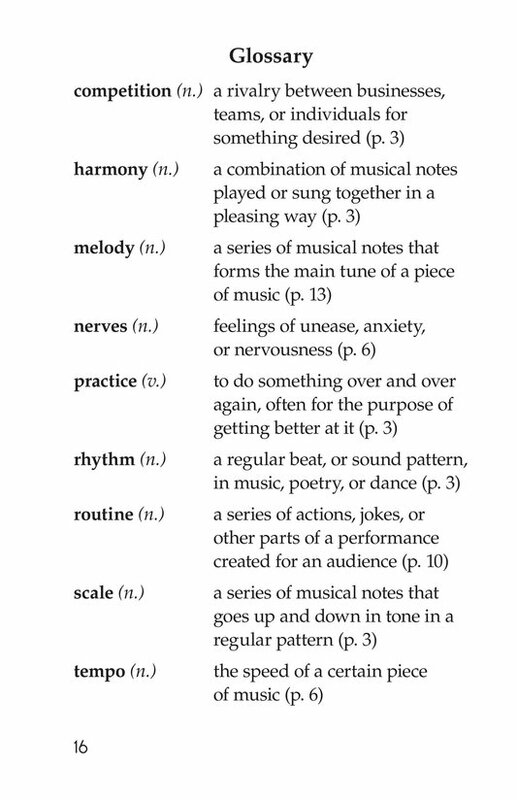 What will happen at the competition, and will Rhythm and Harmony learn to work together? 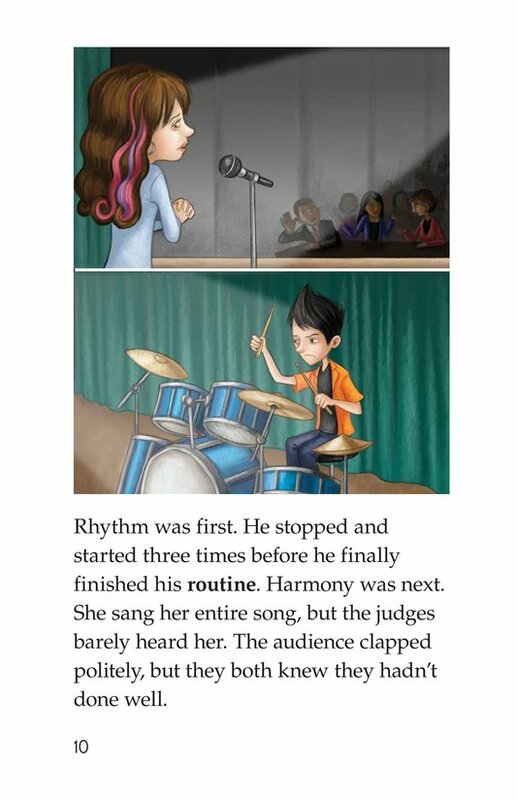 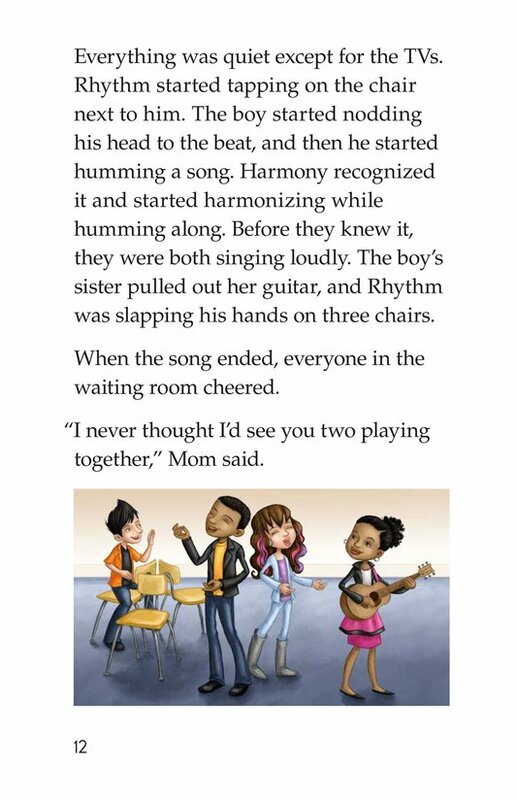 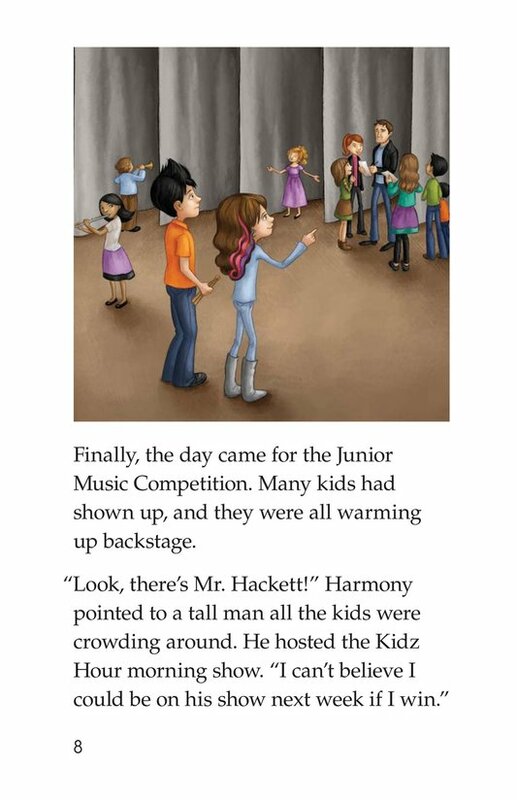 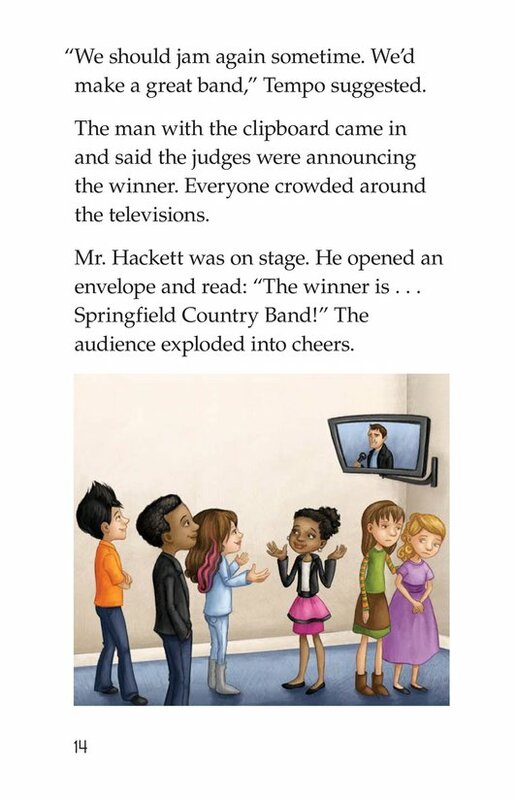 This realistic fiction story presents opportunities to teach early readers to identify problem and solution in a story as well as how to use commas in dialogue.